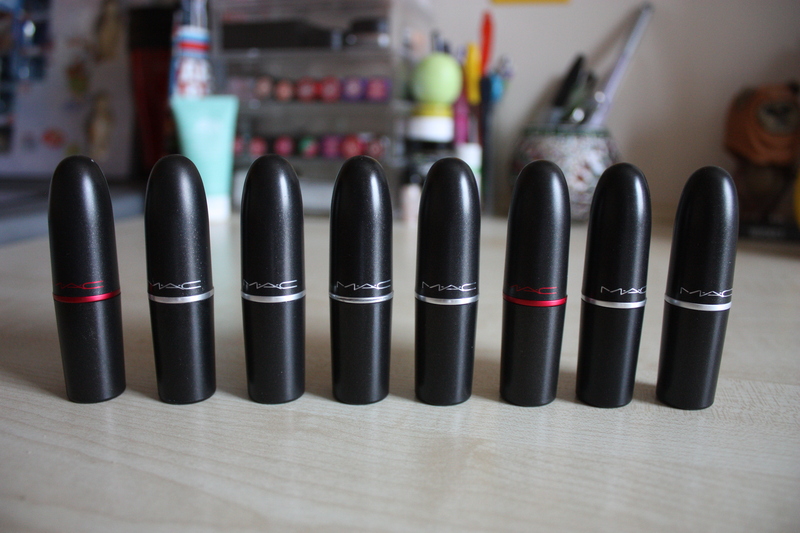 Here we go, my MAC Lipstick Collection! 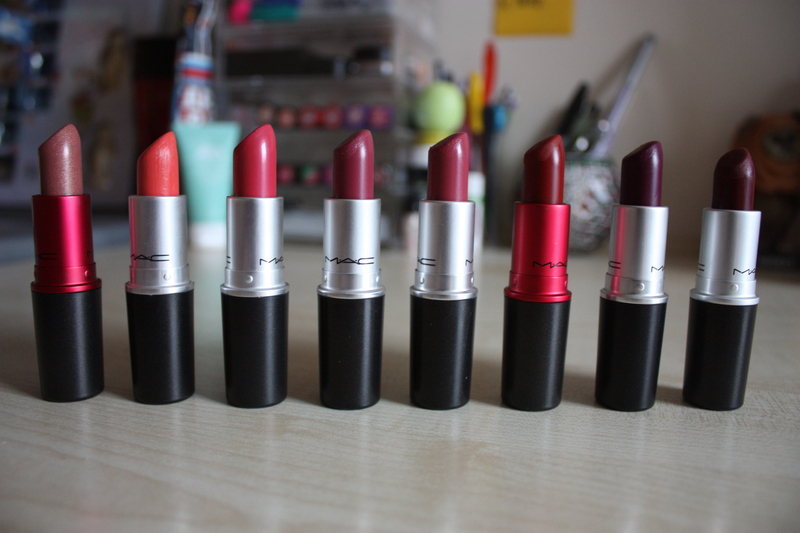 In my ‘collection’, I have a grand total of 8 lipsticks, which are quite a wide range of shades. 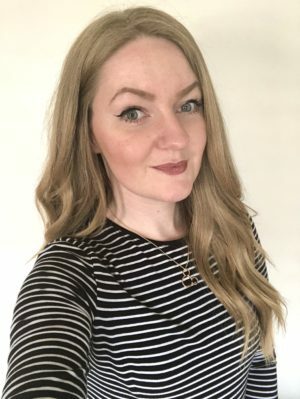 I adore every single one of my MAC Lipsticks and I literally wear one every single day (unless I’m not going anywhere, of course). I will be uploading a MAC Lipstick Collection video to my YouTube account within the next few weeks, which will include swatches of these on my lips for you! So keep an eye out for that! The shades that I own are (left to right): Viva Glam V (Lustre), Vegas Volt (Amplified), Speak Louder (Creamsheen), Plumful (Lustre), Craving (Amplified), Viva Glam I (Matte), Rebel (Satin) and Diva (Matte). 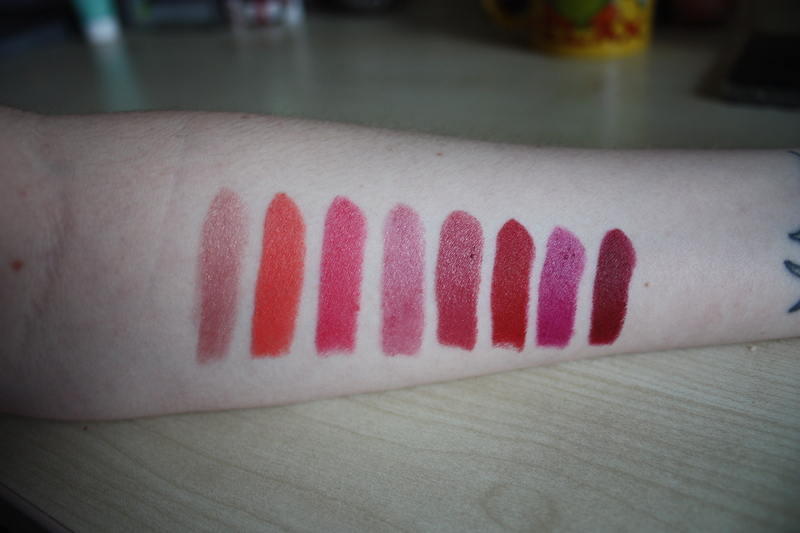 Here is a quick swatch of the lipsticks that I own, they are in the same order as the list above. But I will copy & paste that here, incase it’s easier to match them without having to scroll back up! I would say that my favourite lipsticks out of these, would have to be: Rebel (I always wear this), Craving and Speak Louder. What do you guys think? Do you have any of these? If so, which are your favourites? I’m planning on getting an everyday ‘your lips but better’ colour, but I’m not sure which shade yet. I’m thinking possibly along the lines of Please Me? I hope you all have a great day, and I will be posting a lot more within the next week or two! i have NO MAC lippies. forever on my wishlist! 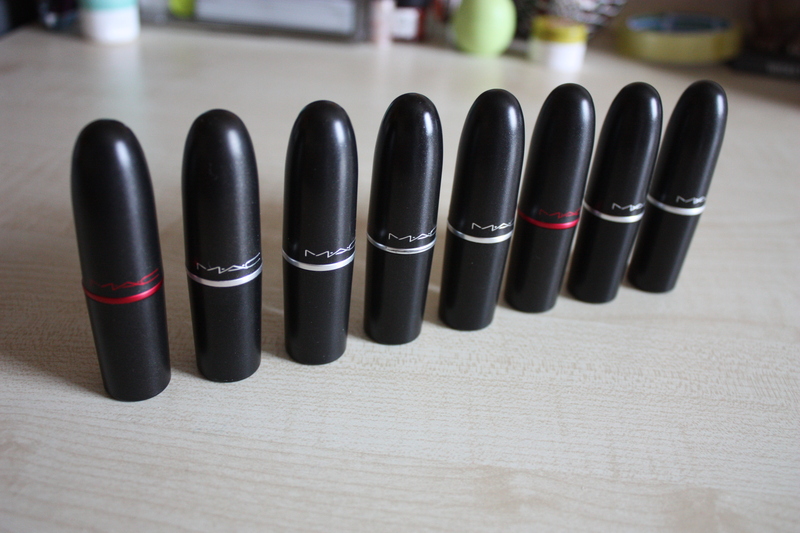 *Gasp* This is my dream MAC lipstick collection, lucky girl!